The Estes Park Winter Festival, one of the fastest growing festivals in the state, has returned for 2015. The festival had become known for live music, family winter activities, delicious food and Colorado craft beer and wine – before taking a year off in 2014. Held over Martin Luther King weekend – January 16 through 19 – the event has grown into four days of celebrating winter fun and activities throughout the village of Estes Park and in Rocky Mountain National Park. New this year, the Estes Park Winter Festival will feature a Friday night Celtic concert, an aerial trampoline ski show, a kids’ snowboard simulator and an interactive photo booth. 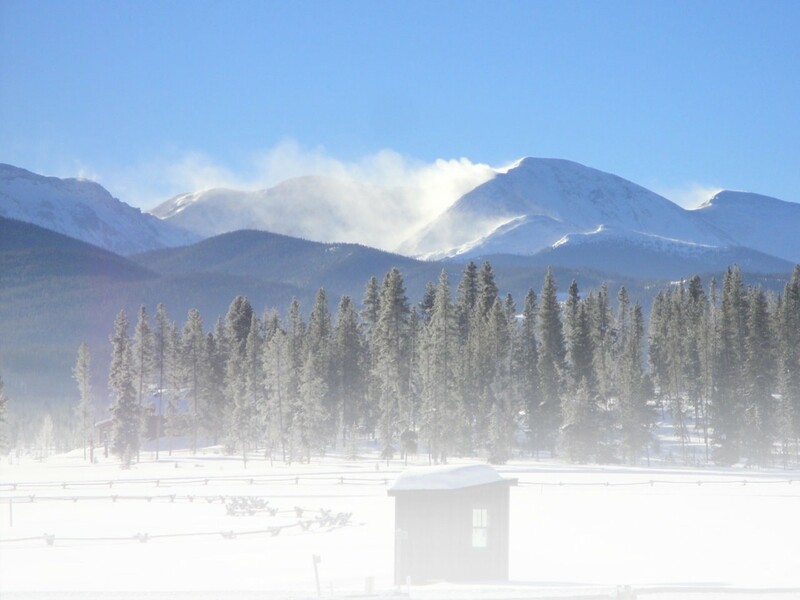 In addition to celebrating winter fun, there will also be a birthday party on Saturday, January 17 for Rocky Mountain National Park, celebrating 100 years since the establishing legislation was adopted. Also on Saturday, Winter Trails Day returns to Rocky Mountain National Park with winter gear displays, snowshoe experts and hundreds of snowshoes for all ages to try on the trails in Rocky Mountain National Park. Most events are held at the new Estes Park Events Complex off of Highway 36 in Estes Park. The festival kicks off on Friday night, January 16, with a Celtic concert and dance, featuring live music from the Commoners and bagpiper Daniel Lowell, and performances from the Mc Teggart Irish Stepdancers. Friday’s dance is sponsored by the Rocky Mountain Irish Gathering and will offer Irish drinks as well as non-alcoholic beverages. Admission to the dance is $15. Saturday and Sunday feature the main festival events, including red and green chili cook-off competitions, complete with all you can taste. Patrons will judge “Best of the Fest.” For an additional fee, adults can enjoy unlimited craft beer and wine tastings from over thirty Colorado craft beverage houses. A live music stage will feature James and the Devil and White Water Ramble on Saturday and The Burroughs and Archie Funker on Sunday. Vendors will be on hand with outdoor gear, apparel and gifts, and educational booths will offer information on winter activities and recreation. Families are encouraged to attend this all-ages festival with an entire building dedicated to interactive kids’ features. Children can enjoy snowman human bowling, snowball fights, “Frozen”-themed ice sculptures, slapstick hockey and more. Winter Trails Day takes place on Saturday, January 17 in Rocky Mountain National Park at the Park ‘n Ride off of Bear Lake Road from 10 a.m. to 3 p.m. The Winter Trails Day celebration is free to attend and offers free snowshoe demos for beginners and experts alike (park entrance fees apply). On Monday, the festivities continue downtown in the Estes Park village where a family-friendly party will take place next to the ice rink. From 10 a.m. to 3 p.m., families can enjoy ice dancing performances, a “beat the goalie” hockey game, face painting, live music, a dog costume contest and more. Admission to the party is free, and snacks, hot cocoa and chili will be available for purchase. Festivities take place in the heart of downtown, close to shopping, dining and the scenic riverwalk. Monday is also a ‘fee free’ day in Rocky Mountain National Park where guests can snowshoe, cross-country ski, take scenic drives and enjoy sledding in Hidden Valley without paying the entrance fee. Gear for all activities is available to rent in Estes Park at various outfitters and retail stores. Admission to the main festival is $5 for children ages four to nine, children under four are free. Tickets for ages 10 and up, without the craft beverage tasting, are $17 for a day or $30 for a two-day pass. Admission including unlimited wine and beer tasting is $30 for a day or $55 for a two-day pass, ages 21 and older only. Tickets can be purchased in advance online at www.VisitEstesPark.com or at the festival entrance. A free shuttle will be operating from the Fairgrounds to the Estes Park Visitor Center and the downtown village. This entry was posted in Adventure, Destinations, Events, News, Winter Sports by Ryan Alford. Bookmark the permalink.